Javier Hernandez has urged Hirving Lozano to join Manchester United. The PSV Eindhoven star has been largely impressive this season, having already bagged 17 goals in 27 appearances, and matched his goal-scoring tally from the previous campaign. The 23-year-old is being targeted by a host of European giants. However, the forward has been urged to secure a switch to Manchester United by his fellow compatriot and former Red Devils’ star, Javier Hernández. An inside source revealed the following information to Team Talk: “Hirving wants to join United, joining them is as big as a move to Real Madrid or Barcelona to him. 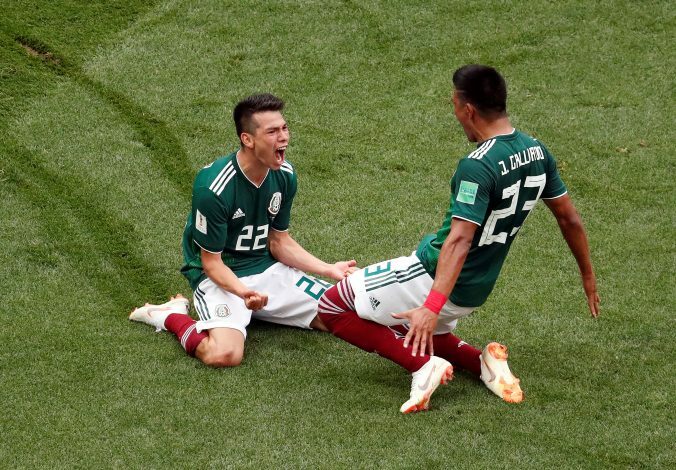 Manchester United have been monitoring Lozano’s situation for quite some time as well, as per Jesus Martinez, the president of the wide-man’s former Mexican outfit, Pachuca. “What I can say and guarantee is that Hirving has had a Manchester United scout watching him since he was 16,” Martinez told ESPN Deportes (via Metro). “They have his whole record. They have everything: videos, goals, behaviour, qualifications.